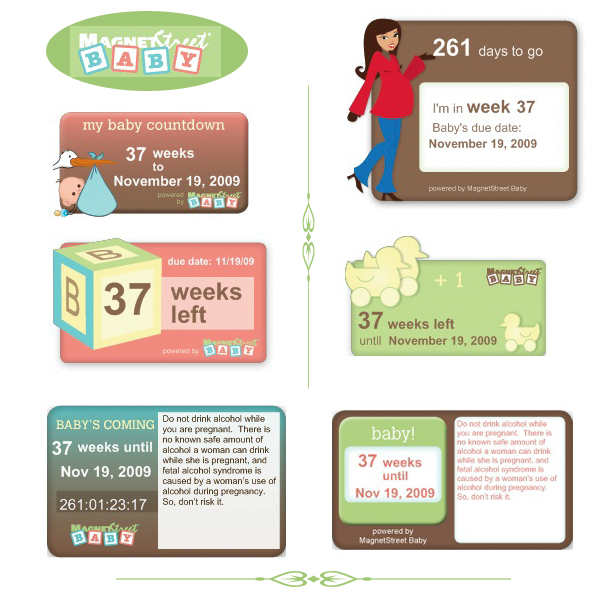 Moms who are looking for a sweet due date countdown for you website may like some of the ones designed by Magnet Street Baby. The company, who specializes in special occasion announcements, has put together a few free badges that will keep your friends and family up-to-date on how far along you are. Thanks for the post. I am having the issues corrected immediately – only 2 are affected. Glad you like these!